Bridal Market April 2017–Our NYC Adventures! It’s been a couple weeks since our trip to New York City for bridal market, and now that we’ve finally caught our breath and recovered from walking all over the city we can finally sit down and tell you about our adventures! Here we are first thing in the morning, about to hit the road for the long drive to the big city. It was a long ride, but we made it! Once we checked in at the hotel we were itching to get into the city, so we hopped onto a train and headed straight the The Knot Show, where we checked out the designs by Justin Alexander and Lillian West. We were so impressed by the new collections– they had great clean lines, new fabrics and gorgeous bead work. It was hard to choose which gowns we wanted most, but after some deliberation we selected a group of gowns we think our brides will love. After that we headed back to the hotel, but not before making a quick stop outside the one and only Kleinfeld Bridal. The next day we were up bright and early, and well before our first appointment, so we decided to check out the new collection from Randy Fenoli. We knew his dresses would be beautiful, but we were still blown away by his designs. We even had the chance to chat with Randy himself, and he indulged our request for a selfie! Our next stop was across town, to the garment district to check out the new collections from Paula Varsalona and Antonio Gual for Tulle New York. The quality of Paula’s work was, as usual, excellent! We loved seeing the silhouettes and fabrics she’s using (especially the floral prints!) and we’re really excited about the designs we’ve ordered for our brides. Out final stop of the day was to Antonio Gual. It was the first time we’d visited him in New York, and we were so excited to be there for the launch of his Sarah Black Collection. Antonio’s was the last stop of the day, so after a late dinner we made our way back to the hotel to get some rest and prepare for the journey home. Overall, it was a great weekend, and we feel we selected a really amazing set of gowns from the new collections to have in our stores. You’ll just have to stay tuned to find out when they’ll arrive! Designer Day and Trunk Show with Antonio Gual this month! In just a few weeks, Sealed With A Kiss will be hosting a trunk show and designer day with the one and only Antonio Gual. We can’t wait! Designer Antonio Gual himself will also be in store to meet with brides, tell them about his work, and to offer design and styling input. Not many brides have the chance to meet the designer of their gown, so this is truly an amazing opportunity! Appointments will be limited, so be sure to call today to schedule yours! Here’s a quick peek at some of the gowns you’ll see during the trunk show weekend! See more of his designs at: http://www.tullenewyork.com/collection/. We hope to see you at the trunk show! Sealed With A Kiss is pleased to announce our fall Paula Varsalona Bridal Trunk Show! Here at Sealed With A Kiss we love Paula Varsalona Bridal. We’ve visited designer Paula’s studio in NYC multiple times to not only see the latest designs, but to see and feel the fabrics she uses and watch how her gowns are made. We are always impressed with the work she does. Paula’s collection varies in style, but the newest collections have two focuses- city chic and boho bliss. From full ballgowns to fitted mermaid styles, every one of Paula’s designs is an excellent display of fabrics and craftsmanship. We also really love that Paula is more than willing to customize her designs for our brides. Whether you want to add sleeves or change a neckline, Paula can work with you to create the gown of your dreams. Brides, you really don’t want to miss this chance to see and try on Paula Varsalona’s latest designs- so book your trunk show appointment today! Behind the Scenes at Sealed With A Kiss: Fall Bridal Market! It’s that time of year again! This weekend is Bridal Market in New York City, which means our owner and a few lucky staff members get to make the drive up to the Big Apple to check out the latest in bridal fashion. While attending market is always fun and exciting, we’re there to work. This is the time we carefully select which designers and dresses we want to carry in our boutique, and it’s one of the most important aspects of our job. The designers we choose to carry and the specific styles we decide to order for our shop are a direct reflection of who we are as a boutique, so the pressure is on to choose wisely. Before bridal market even begins we have to research and speak to the designers we already carry and designers we’re considering carrying, in order to make an appointment to view their collection. There are hundreds of fashion shows and viewings going on at the same time, making it impossible to see them all, so a lot of thought goes into deciding whose collections we’ll see and whose we won’t. Two of the most important things we take into consideration are the designers reputation for quality craftsmanship and their willingness to make their designs “bespoke,” so that they are easily customized to suit the needs and styles of our brides. Our owner Susan is the designer of our in-house Sorbello Couture collection, so she has an eye for fabrics and construction, and she hand selects every piece we carry in our store. 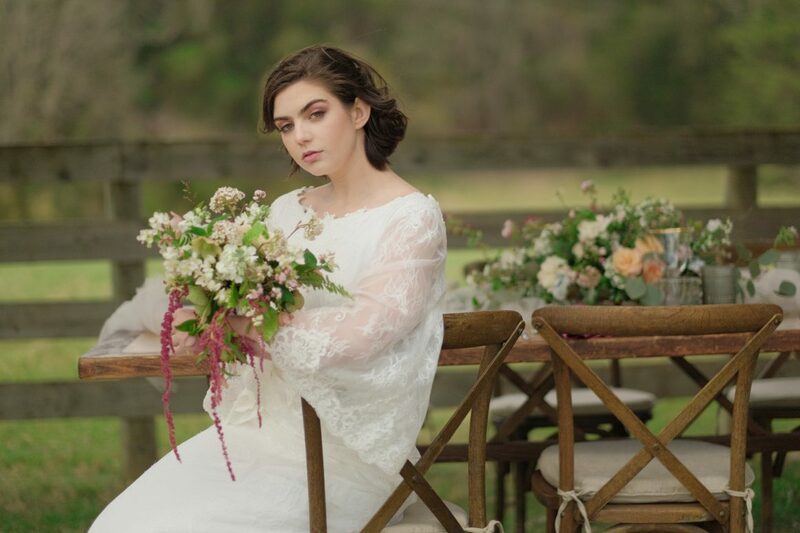 She’s developed close relationships with many designers during her time in the industry, and we find that our close partnerships with them ultimately benefit our brides. It especially comes in handy during bridal market, since many of the designers we work with will invite us to their private work rooms to view the collections, and this means we can get up close and personal with the designs in a way we wouldn’t have an opportunity to do during just a runway show. Getting such an in depth look at the designs means we know what changes can be made to the dresses and fabrics, we know what styles are up and coming, and we can assure our brides that they’re getting great quality because we have seen how these gowns are designed and crafted. We can’t wait to see what bridal market has in store for us, and we’ll be working hard all weekend to be sure we choose only the best gowns for our brides. We’ll be sharing pictures straight from the runway and workrooms so that you can see everything that we’re up to, so be sure to follow us on Facebook and Instagram. NYC here we come!